When you visit the dental office of Dr. Alina Bergan, you can expect to receive the best that advanced dentistry has to offer. We maintain an amalgam-free practice and are committed to providing our patients care that contributes to their overall well-being. The combination of our dentist’s dedication, open communication style, and her commitment to delivering the best dental care in Five Towns, is what sets our practice apart. 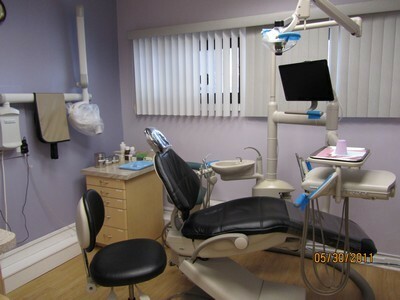 Dr. Bergan treats patients the way she would want to be treated if she were in the dental chair. Our Cedarhurst dentist takes the time to listen carefully to your concerns before performing exams and explains her findings and your options clearly. When it comes to Dr. Bergan’s approach to treatment; patience, attention to detail, and the craft of advanced dentistry all describe the main features of our dentist’s personality and are evident in her impeccable work ethic. You have options when it comes to completing your initial paperwork as our registration forms are available online or here in our office. At your first visit, after your paperwork has been submitted, you will be seen promptly. Dr. Bergan focuses on your complete oral health while considering every aspect of your smile and any improvements you may be seeking. First, we will obtain x-rays with our comfortable digital imaging system. Then, Dr. Bergan will speak to you about your history and any issues you may be experiencing. After conducting a thorough exam, including a periodontal check-up, she will explain in detail where your dental health stands, which special treatments she recommends, if any, and what results you can expect. You can rely on every member of our team to be ready to help with any questions you have. Whether it is related to insurance coverage, scheduling flexible appointment times, or any aspect of your care, our staff is honest, caring, friendly, and eager to help. Our wide range of comprehensive dental care includes solutions for virtually any dental concern. We also see patients of all ages and provide quality dental care for Woodmere, Cedarhurst, and all of Five Towns. Our dentist works hard to design treatment plans that meet your needs while fitting into your budget. For more information or to schedule a visit, call our office at (800) 223-0801 today!